"Smell and memory have a strong link. In two synapses, one triggers a memory that was stored in the subconcious. We breath up to 24,000 times per day; we move 12.7 metres of air. With every breath, we inhale smell molecules – information about our surroundings. Even when we sleep, we smell. Our kidneys smell, our skin smells. In 1990, I decided to make use of an amazing piece of software we all possess – the nose – for my work. I literally put my nose into everything I did. At the time, I had no understanding about the smell industry; those that create the scents of detergents or soap. I was born in Norway and grew up with pretty neutral smell surroundings. I collected all of the smells I experienced and started to create an archive, now totalling over 7,000 smells. The purpose of this scent archive was to see if I could render all of the smells. Could I start to smell intellectually rather than emotionally? Is it possible to communicate around smell? All of the smells in the archive are sources; real smells I have collected. It's almost like writing a diary. All of the samples have the necessary information, so that later I can revisit and know exactly why I chose it, and how it represents a time and the geography of that point in my life. "Could I start to smell intellectually rather than emotionally?" The way I work is to identify smells with my nose. The first time you experience a smell is the essential moment. That's the source of that smell for the rest of your life. I often revisit a smell at different times of the year, for several years. If I'm not able to identify or source the smell to bring back to my laboratory, I use the Head Space tool, a small industry device which breaks down any smell into its molecular components, information that's then used to piece together its synthetic counterpart." Sissel Tolass's work is fascinating. 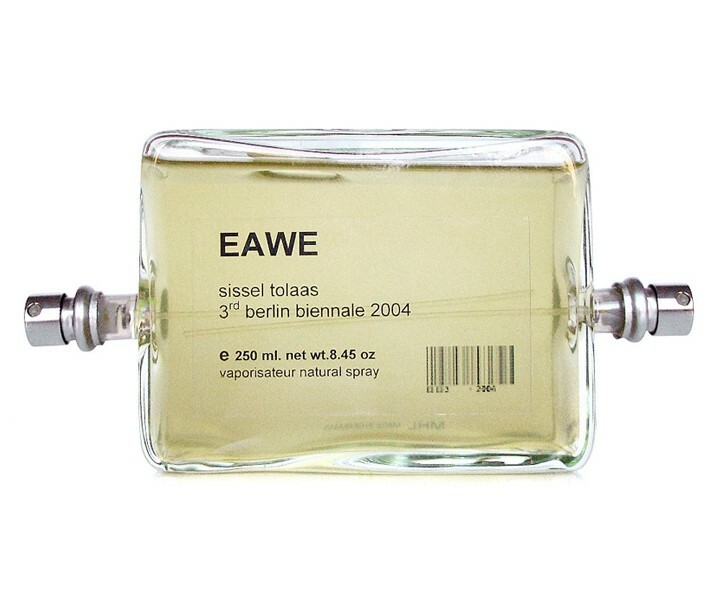 Having studied mathematics, chemistry and visual arts, she has since established a burgeoning scent archive in Berlin. She collects sample of the item and seals it in a can for later study; each is labelled with a name, geographical location and date. Tolaas has over 40 variations of smelly socks, 150 versions of dog poo and the aroma of her daughter, whose smell she has been collecting since her birth. Focusing on the complex language and communication of smell, Tolass has worked on projects which are as varied as the smells in her laboratory. Educational projects with children, educating them about pollution; a conceptual fragrance project with leading fashion photographer Nick Knight; using scent to aid in the recollection of traumatic memories in patients undergoing therapy. Since 2004, the Norweigan artist has worked with the commercial research institution International Fragrances and Flavors, the biggest provider of smells and taste molecules in the world. The focus of her career is remediating “the lack of understanding smell has in our society". Sissel Tolass was speaking at the Serpentine Gallery's Memory Marathon last month.